Whether you call it “Aging in Place” or “Universal Design,” it means the old ways of designing homes just don’t work for many people anymore. The traditional bathroom that serves you well if are young, healthy, or mobile won’t always work when you are older, injured, or living with a disability. People are realizing more and more that they want homes that meet their needs at all stages of life. We all want to feel comfortable in our homes, and oftentimes old, outdated bathrooms make that incredibly difficult. 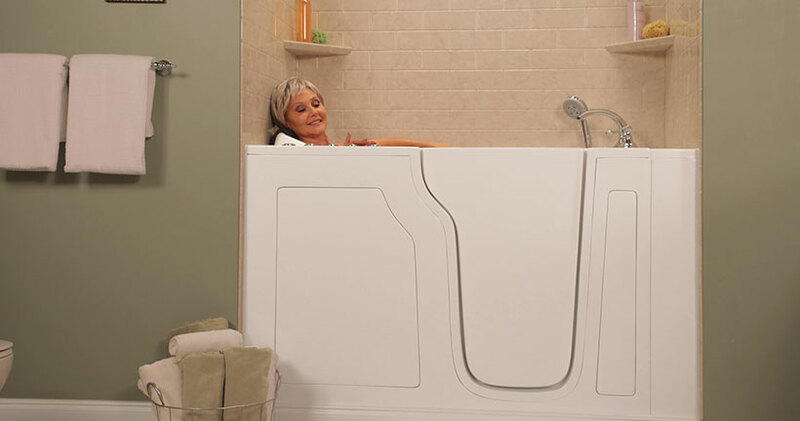 Thankfully, there are bathroom solutions that can help people living with mobility issues, disabilities, and other aging in place concerns be more self-sufficient and stay in their own homes longer. You never know where the next stage of life may take you, and people of all ages and abilities can benefit from safer, more user-friendly bathrooms. Injuries from slips and falls in the bathroom are a real concern, especially as you age or recover from injury. Grab bars are a simple, cost-effective solution that can help reduce falls and provide additional safety for everyone utilizing the bathroom. They’re available in various sizes, colors and styles to better match your bathroom décor and physical needs. The important thing to remember with grab bars is that they need to be installed properly in order to work effectively. Without proper installation, grab bars could be dangerous and actually increase risk of injury. Talk to our Aging in Place specialists about your options! Shower heads that are mounted out of reach can make bathing and showering difficult, especially if you have difficulty standing or stretching. Hand held shower heads can reduce strain and make it easier and safer to bathe, whether bathing yourself or utilizing a caregiver. They also work well for cleaning the shower quickly and efficiently. From space-saving design, to accessibility, to personal preferences, many homeowners are looking to replace their bathtubs with walk-in showers. Whether you simply enjoy the look and feel of a shower, or you strain to raise your leg over a tub wall, a tub-to-shower conversion may be just the solution. Converting your bathtub to a walk-in shower is easier and less expensive than you may think. Learn more about Watters Plumbing’s bathtub to shower conversions. It may not be something you normally have to think about, but toilets can put a lot of strain on your knees, back and hips. If you are injured or have knee and back issues, simply using the toilet can be an incredibly painful and uncomfortable experience. There are toilets, various modifications, and accessories that can make using your toilet easier and less strenuous on your body. If you struggle with arthritis, carpal tunnel, and other issues that make gripping difficult, faucets can become a challenge. You may want to consider replacing your two-handle faucets with single-lever faucets, which can make it easier for everyone to turn the water on and off and adjust temperature. Installing new touch faucets in your bathroom or kitchen can also be a great option. You may think all sinks are all the same, but they’re not. The height and depth of your bathroom sink can have a big impact on how much strain and stress you’re putting on your back, neck, and shoulders from bending. Finding the right sink for your needs can help reduce pain, strain, and injury while washing your hands and cleaning your bathroom. If you’re looking for a simple, cost-effective way to make your bathroom safer and more accessible for everyone, there are plenty of bathroom accessories available. Shower seats, raised toilet seats, and bathtub and shower safety products are just a few easy options that may suit your needs. No one should struggle to use their own bathroom. If your bathroom isn’t meeting your physical needs, we want to help! 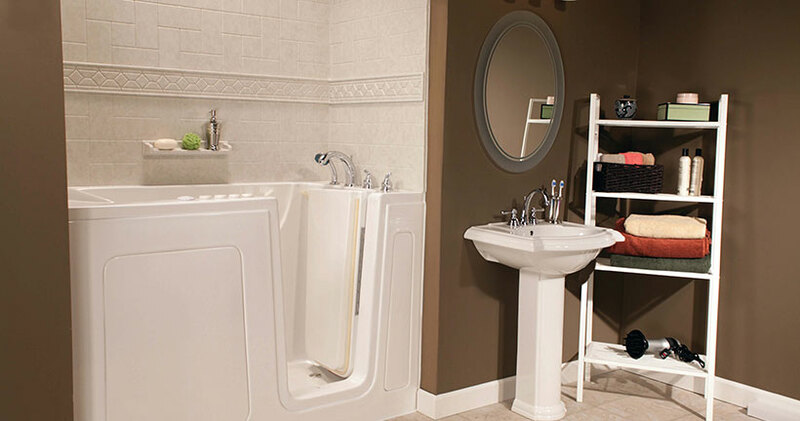 Whether it’s adding a simple grab bar or converting your tub into a walk-in shower, we have the products, aging place specialists, designers, plumbers, electricians, and carpenters to make your bathroom one that you can easily and safely use – no matter your age or abilities. 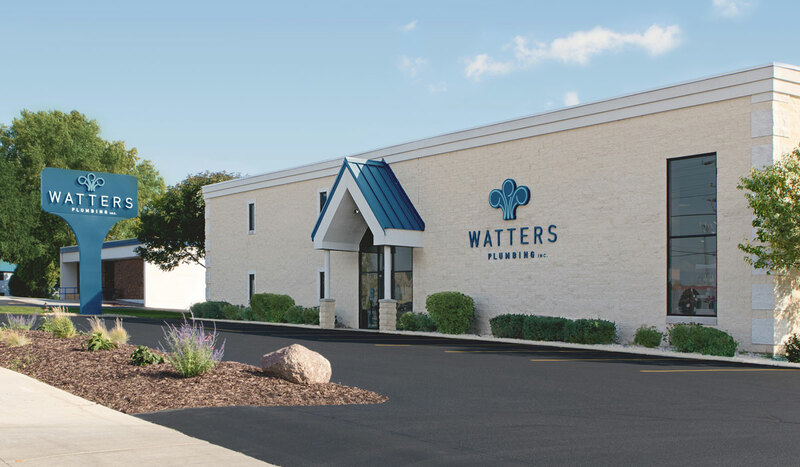 If you’re in Oshkosh, Appleton, Green Bay, or the surrounding areas, Watters is the name you can trust for your bathroom remodeling project. Give our aging in place experts a call at (800) 801-8125 or visit our showroom to discuss your needs!